Tesla Model S 75D tinted with ceramic window tint for maximum heat blocking and uv protection. All of the passenger and drivers windows as well as the rear window were tinted with ceramic window tint. 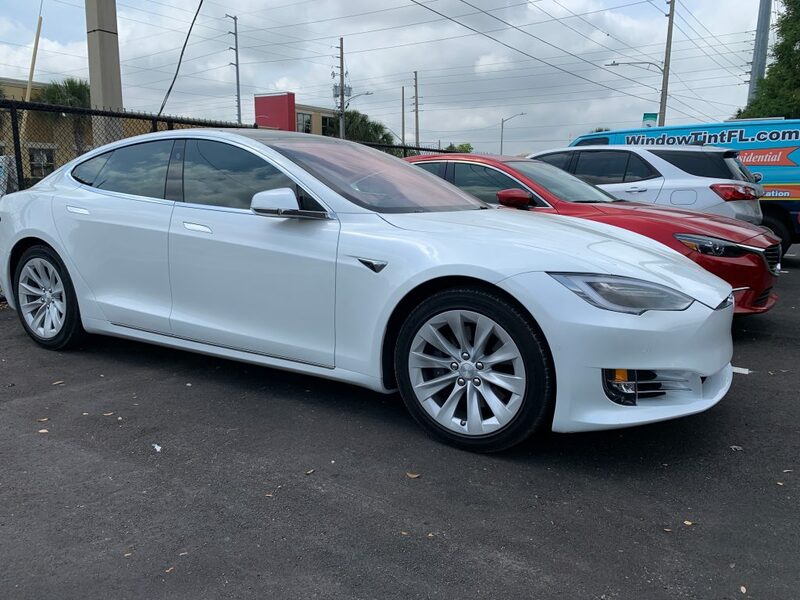 Ceramic window tint is a popular choice for Tesla owners looking for more than just privacy. Ceramic window tint blocks heat as well as harmful UV rays which can be damaging to the interior of your Tesla well as potentially your skin. 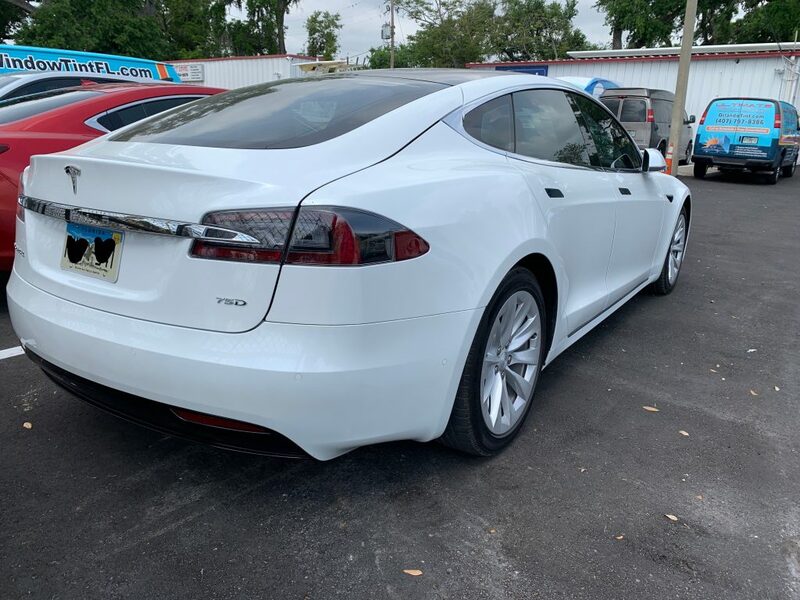 Keeping rock chips, insects, and other road debris from damaging your Tesla is a full time job here in Orlando Florida. Paint protection film like Clear Bra is a clear, plastic film that is applied over your vehicle to save your factory perfect paint from damage. 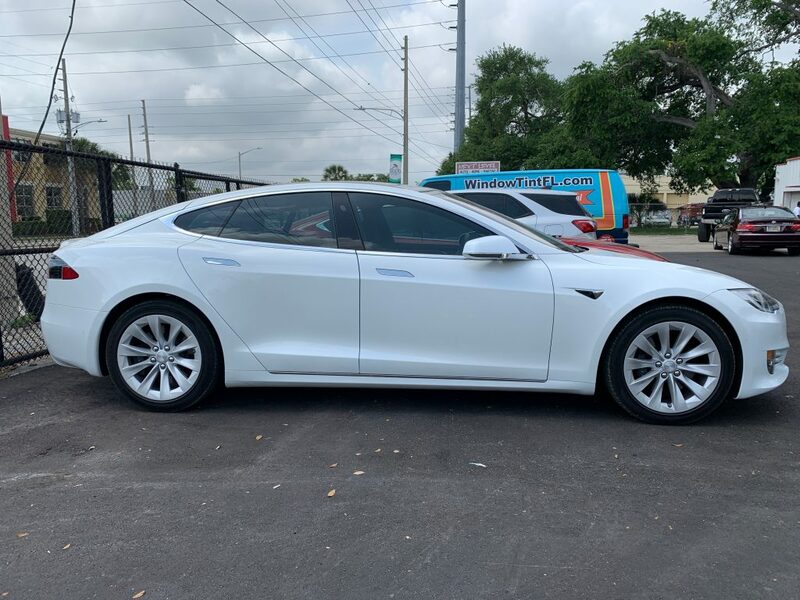 Paint protection film is extremely popular for Teslas in Orlando for those wanting to protect their investment from rock chips, bugs, bird dropping, and minor scuffs. Wether you’re looking for ceramic window tint, paint protection film, ceramic pro, paint correction, chrome delete etc etc etc … Ultimate Window Tinting can completely take care of your Tesla protection and customization needs.